Magnifique 200 ans ancienne ferme d'eau de mer est situé sur une route sans issue avec peu de trafic. La ferme a été mis à jour, mais conserve la plupart de son charme d'époque. Le domaine se compose de 56 acres avec façade sur Montsweag et Brookings Bays. Une combinaison de champs ouverts et de zones boisées contient plus de trois kilomètres de sentiers de randonnée et de ski de fond. Baies de marée offrent un accès 2/3 de la marée pour le kayak, le canoë, la voile et la pêche. Durant les mois chauds un grand bûcher (studio) offre un espace pour socialiser, manger, et divertissant. Le bûcher offre une vue sur les champs et Montsweag Bay. La faune et les forêts abondantes ajouter à la jouissance de "La Ferme". Salle de bain complète est à l'étage. En bas, la moitié du bain est dans la chambre bonus. Cette pièce était la salle à manger, à l'origine. Il a été converti en chambre / salle de bain lorsqu'il est devenu nécessaire pour nos grands-parents de vivre au premier étage. This is the most original vacation rental we've ever done. On our way to Maine, we stopped in Portsmouth, NH and visited the Strawberry Banke. Well, we haven't seen more in this museum than in the farm ! Entering the house is a travel in time. There are plenty of treasures there. If you're looking for modern design, modern comfort, (there is no dishwasher, no washing machine, no wifi although there is sat Tv) you have to go somewhere else. This place is just about relaxing, resting and enjoying the scenery. Thank you Catherine for sharing your farm. We really hope we'll have the opportunity to come back here, this time a little longer. Thank you Julien! We're so pleased that you enjoyed your time at the farm, and your comparison with Strawberry Banke is high praise for us. Our family loved visiting there! Thank you for the care you all took in leaving the house so neat. We'll look forward to having you and your family back in future. We had a lovely Thanksgiving holiday on the farm. The property has so much charm and character. The communication with the host, Catherine, was excellent. It was chilly outside but the house stayed warm. There are some areas that need a little TLC but nothing that impacted our stay. We'd love to come back in the summer! This is a delightful property. We really enjoyed our stay here - 4 adults, 3 kids. It has plenty of character and lots of wonderful old books and photos around the house. It doesn't have the most modern appliances (wi-fi, washing machine, dishwasher) but if you are looking for a peaceful place to get away from it all, I would highly recommend it. Also it's close to Bath and Reid State Park so lots of exploring is possible. We enjoyed time at Popham Beach which was about a 40 minute drive. It was so nice and we enjoyed walking out the sandbar to the island. On our way back we would stop for lobster that we cooked back at the house. The house was very clean and quaint. It was a nice get away! Our son enjoyed fishing down at the water though the bugs were relentless! Be sure to bring lots of bug repellent even though I do not think it helped much. Thank you very much for the time at your home! We enjoyed reading and learning the history. Charming property in a great location. It's a bit rustic, but a beautiful property. Very peaceful and close to Bath and Wicassett. 30 minutes from an outstanding beach at Popham State Park. Beautiful home, rich in history and so much to offer! The listing doesn't do this beautiful property justice! 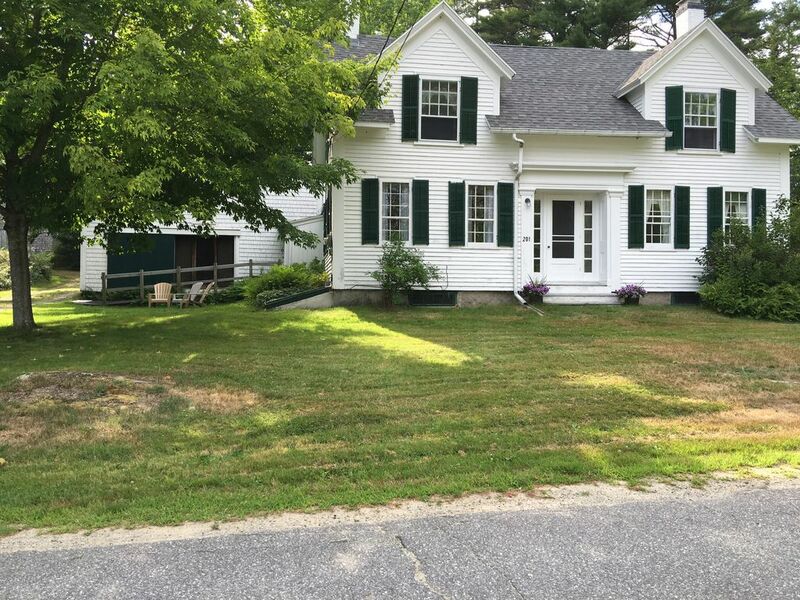 This home is wonderfully kept and with such attention to detail as comfortable bedding to create a perfect ambience for a lovely Maine vacation! The beautiful property and trails surrounding the house give you hours of things to do! The rich history adds to the ambience. There are hidden treasures everywhere! The central location is perfect for day trips and we can't say enough about this place. We plan to come back! Thank you for everything!! Rates are subject to change until booking is confirmed. Pets are not allowed. Absolutely No Smoking allowed, on any part of the property, at any time.